The Storm Cellar is a collaborative vision between Steve Steese and Jayme Henderson. During our many years in the restaurant industry, whether for business, study, or pleasure, we spent most of our time away from work in wine country. And we fell in love with it. We traveled the world’s wine regions in search of our next home and adventure for years, only to finally realize that it was just over four hours west of our former home in Denver, on Colorado’s western slope. The Storm Cellar is a project founded upon a love of Colorado, a desire to make great wine in this great state, and a goal of helping to put a relatively unknown, yet up-and-coming region, on the national map. The process began in February of 2017 with the purchase of the historic Redstone Vineyard from Plum Creek Winery. The 85-acre, rugged, mountainous plot of land is currently planted with 15 acres of wine grapevines, with eight additional acres plumbed and available for further planting. The vineyard boasts a breathtaking, sweeping view that encompasses the fertile valley, farmland, pastures, and orchards of the region, culminating in the snow-crested peaks of Landsend and Mount Lamborn. The elevated property sits atop Sunshine Mesa, between the towns of Paonia and Hotchkiss, in Delta County, Colorado, well above the valley floor, virtually alone atop the mesa. The wine industry within the area is still relatively young, but the region is already showing incredible potential from what are the highest elevation commercial vineyards anywhere in the northern hemisphere. The region is one of two nationally recognized grape-growing regions (American Viticultural Areas or “AVAs”) in Colorado and is known as the West Elks AVA. Both the state of Colorado and this particular wine region are ripe with promise and perfectly timed for growth. As Colorado grows, so grows the need and desire for two things: unique, quality, local products and more destination hot spots. Our goal is to fill both of those niches. The two of us left our lives in the Denver culinary scene, where for the past fifteen years we have had titles such as wine director, sommelier, mixologist, restaurant manager, and beverage director. Between the two of us, we worked at such legendary Denver establishments as Shanahan’s Steakhouse, Barolo Grill, Ya Ya’s Euro Bistro, Coohills, Maggiano’s, and Cru Wine Bar. In 2017, we set aside our suits, our ties, and our late-night hours and happily traded them for overalls, heavy boots, and early mornings. We both live, manage, and share every aspect of life and work here on the vineyard property. 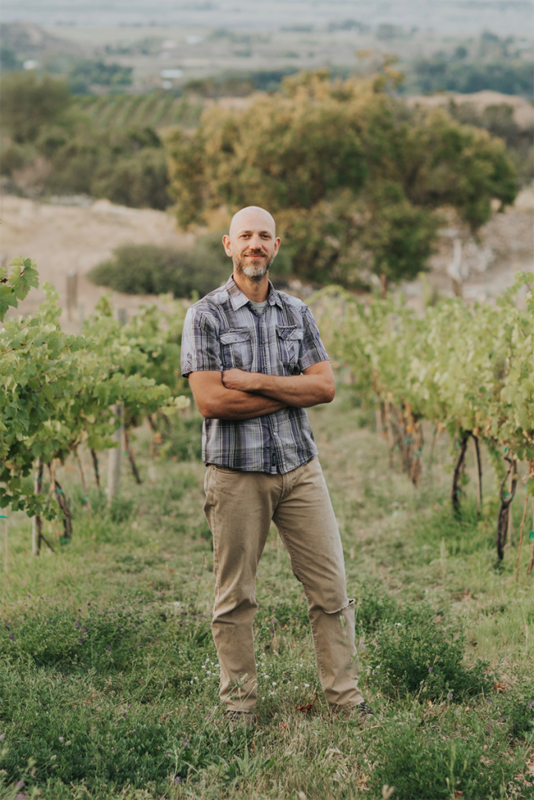 We are the vineyard and property managers, the project planners and coordinators, the winemakers, and the marketing and social media directors. We have one faithful employee, Jeri Rodgers, who helps extensively with the vineyard work, and we have contracted small crews for brief help during pruning, suckering, and harvest. Otherwise, every single aspect of this project is crafted by the two of us. The start of 2019 began with an email from Leigh Sullivan, founder of the Colorado FIVE, letting us know that we had been selected as a duo to represent the beverage portion of the 2019 Colorado FIVE team. FIVE is a concept that sprung from a deep admiration for the city of Denver and its ever-evolving and ever-expanding culinary tradition. On behalf of each deserving Colorado honoree, FIVE hopes to assert Colorado’s rightful place in the national spotlight. Since 2008, FIVE has been a dedicated collaboration between some of Colorado’s most influential chefs in an effort to put our state’s exceptional regional cuisine on the national culinary map. 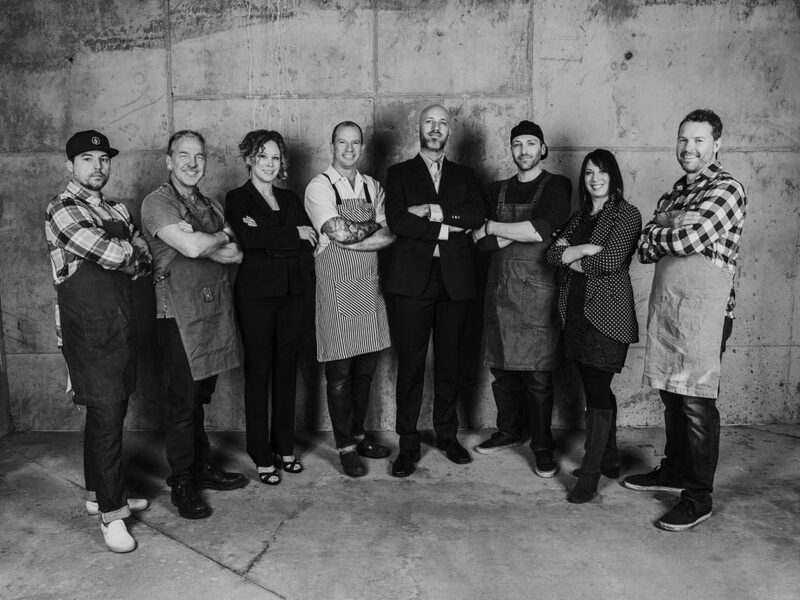 A select group — chosen by Leigh Sullivan Enterprises — FIVE chefs exemplify the passion, creativity and purpose that has become the staple of the Denver dining. Each FIVE chef-hosted event is a true collaboration among some of the state’s most talented culinary and beverage professionals. This year, we are excited to pair hand-selected Colorado wines, spirits, and beers, and create seasonal cocktails, alongside our fellow beverage team member, Jen Mattioni of Denver’s Q House Restaurant. FIVE donates 100% of the proceeds from each event to Firefly Autism. Find more information on these exciting, themed, collaborative dinners and appearances at Colorado wine and food festivals on our events page or via Colorado FIVE. 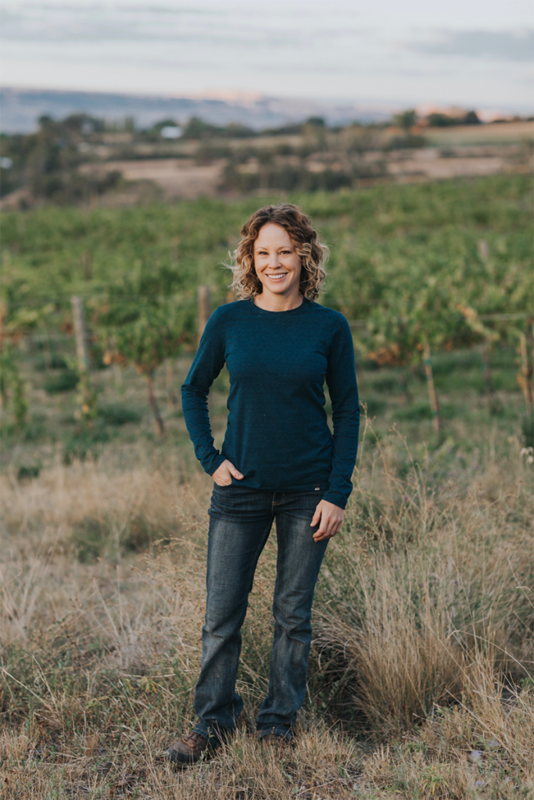 A graduate of Florida Southern College, Jayme Henderson is co-founder, farmer, and winemaker for the winery, The Storm Cellar, based in Hotchkiss. Before she and her fiancé, Steve Steese, moved from Denver to Colorado’s Western Slope two years ago, she worked for fifteen years in the Denver restaurant scene, from event planner and manager to sommelier and mixologist. She is the sole creator of the acclaimed blog, holly & flora, which won Saveur magazine’s readers’ choice award for “Best Drinks Blog” in 2016. Jayme is also a freelance recipe developer, writer, and photographer, contributing pieces for many publications, including Grand Junction’s Spoke+Blossom magazine and the cooking website, The Kitchn, where she has written nearly 100 articles on wine, cocktails, and gardening. Before taking the plunge into farm life, Jayme studied and interned in wineries, within Oregon, California, and Spain, and on organic farms, most notably at Findhorn in Forres, Scotland. Prior to 2017, Steve had been in the hospitality industry all of his adult life. During his seven-year tenure at Shanahan’s Steakhouse, he transformed its wine list into one of the most respected in Denver, winning the “Best Of” Award of Excellence from Wine Spectator every year that he was involved within the program. 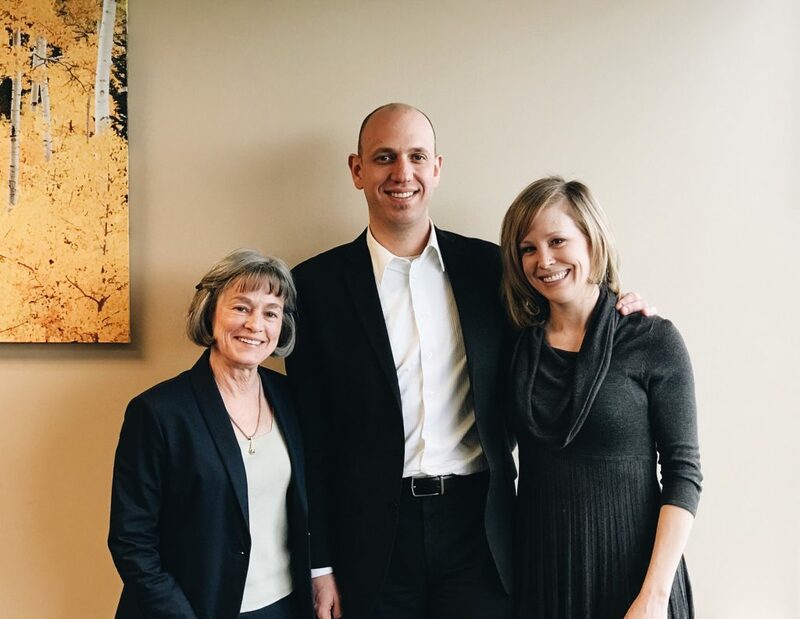 He was selected two years in a row as one of fifteen international “Sommelier Stars” to host the Sonoma County Wine Weekend, and he has traveled, interned, and studied in many of the great wine regions of the world. Steve has lived a life based around the pursuit of sensory experience, extensively exploring the visual arts, music, dance, cooking, and gardening. His degrees from the University of Georgia in both sculpture and ceramics led to a teaching position in Tuscany, which was the birthplace of his love for wine and fine cuisine, and the lifestyle that he experienced there still resonates through him today.